Qualcomm is planning to launch Windows 8 notebooks with quad-core Snapdragon S4 chips later this year. The offerings are said to be lighter and thinner than Apple’s MacBook Air and will rival second generation ultrabooks, says Rob Chandhok, senior vice president of Qualcomm. In an interview with PC World, Chandhok said that the line between smartphones and notebooks is beginning to blur. The 28nm ARM-based S4 includes an integrated 3D graphics core and built-in 4G networking that will be powerful enough to push high resolution displays. The SoC design will promote longer battery life based on improved efficiency. 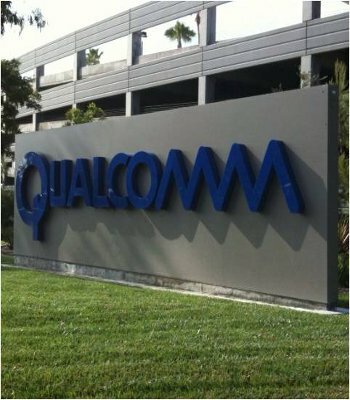 Qualcomm is entering an already competitive market largely dominated by Intel. Additionally, Nvidia and Texas Instruments will also be producing processors for Windows 8 portables. The company is hoping that cellular connectivity and multimedia features of their chip will help it stand out among the crowd. It’s still too early to tell if such a system would be sought after by consumers. We all remember the low-powered netbook trend that essentially faded into memory when tablets started to take off. While there’s no doubt that the quad-core S4 would be more powerful than early Atom processors, the question is how much slower will it be compared to Intel’s Core series chips and how reflective will the price point be. The company has already seeded some prototype Windows 8 notebooks to developers and with an expected Windows 8 release date of October, we could possibly see Snapdragon notebooks before the end of the year.